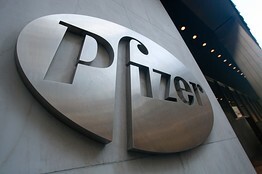 NEW YORK (MarketWatch) -- In what may give the stocks of pharmaceutical companies Pfizer Inc. PFE -0.99% and Bristol-Myers Squibb Co. BMY -0.75% a boost next week, the U.S. Food and Drug Administration late Friday approved the anticlotting drug Eliquis, an oral tablet used to lower the risk of stroke and dangerous blood clots in patients with abnormal heart rhythm that's not caused by a heart-valve problem. The FDA said the safety and efficacy of the drug was studied in a clinical trial of more than 18,000 patients that compared it with the anticlotting drug Warfarin. It said patients taking Eliquis had fewer strokes than those who took Warfarin. Both Bristol-Myers and Pfizer, which had struck a licensing deal for the drug if it was approved, have been seeking to replace top-selling drugs that have lost U.S. patent protection, the Wall Street Journal reported.